What are the most important qualities of a good public speaker? 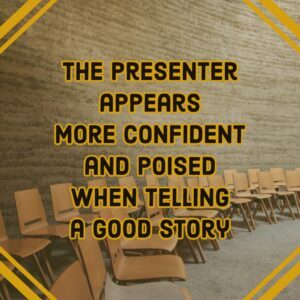 What makes a great presenter? What are the qualities that allow one orator to get up in front of an audience and memorize the crowd while another fails? Well, science may offer the answer to these questions. When I first started teaching the Fearless Presentations ® classes, I did so because I knew from my own experience that the more self-confident a presenter appears to an audience, the more respect that the audience will have for that presenter. In addition,chapter one of my first book was about enthusiasm, because I knew that out of all of the characteristics of a good speaker, enthusiasm was the absolute, most important. Over the years, though, our instructors have worked with over 20,000 presenters. Some had a natural presence in front of groups. Others, however, had to develop a public speaking skill in order to be perceived as being a great public speaker. Below are the seven qualities of a good public speaker that we have identified as the most important. In addition to our observations as public speaking coaches, we have also added the scientific proof that we also uncovered along the way. Back in 2016, Noah Zandan of Quantified Communications examined the behaviors of over 100,000 presenters to rank the importance of different communication variables. 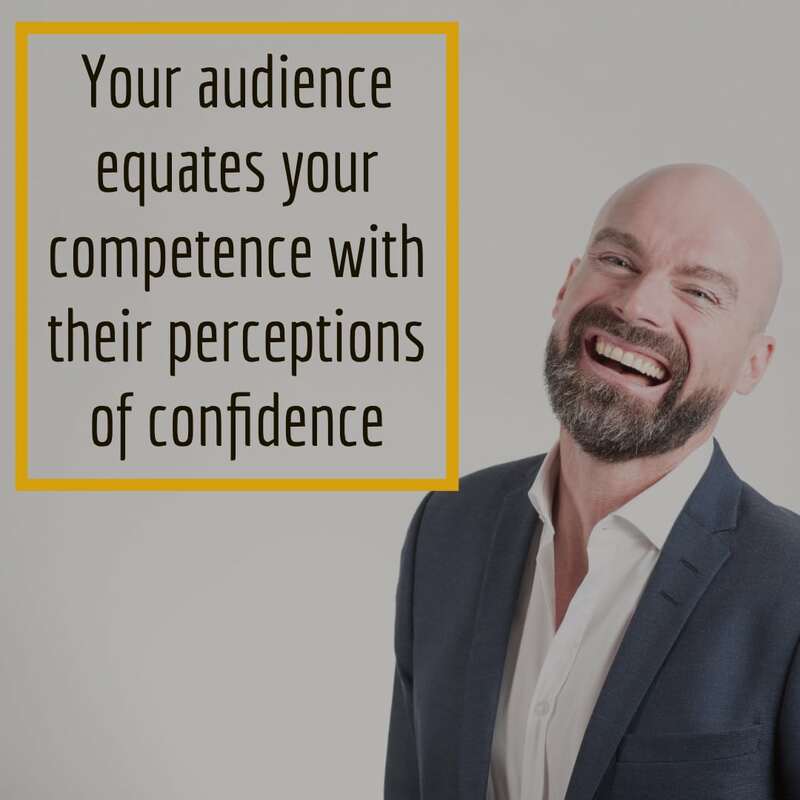 One conclusion that Zandan came to was that "your audience equates your competence with their perceptions of your confidence." In an article published by Stanford University titled A Big Data Approach to Public Speaking, "Zandan cites studies by educational researchers that suggest approximately 83% of human learning occurs visually. Your nonverbal behaviors such as stance, gestures, and eye contact are critical not only for conveying and reinforcing your messages, but they serve as the foundation of your audience’s assessments of your confidence." So, basically, your audience looks at the way that you present (not just the things that you say) to figure out if you really know know what you are talking about. If you look self-confident, they will be more likely to trust that you are the expert on the topic. So how do you build self-confidence as a public speaker? Well, in the Fearless Presentations ® class, we help participants achieve a series of presentation successes. Anytime you try something and have a success, you will build self-confidence. Anytime you have a failure, you will lose confidence. So, a class is an excellent way to build confidence as a speaker. My first few years as a speaking coach, I always just used the phrases "self-confidence" and "poise" interchangeably. I thought they were synonyms. However, in recent years, I've started to realize that poise is a little different than confidence. 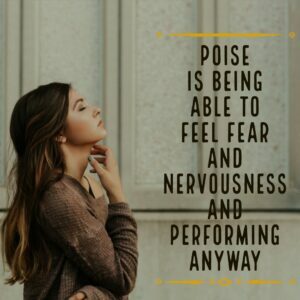 Poise is more of a calm under pressure. It is the ability to stay in control when stress increases. 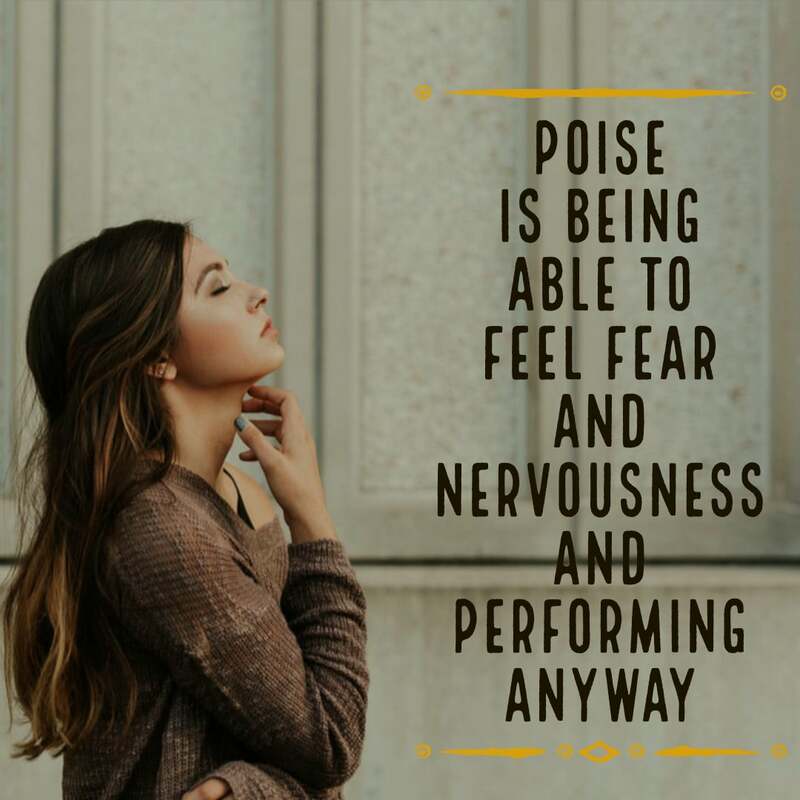 If I had to define poise myself, I would say that poise is the ability to feel fear and feel nervousness and perform anyway. In contrast, self-confidence is what occurs when the fear has been diminished as a result of poise expressed in past situations. Back in 2011, Taylor Clark wrote an entire book about the science behind this phenomenon. The book is called Nerve: Poise Under Pressure, Serenity Under Stress, and the Brave New Science of Fear and Cool. Clark explains that most people focus entirely on trying to eliminate fear in a process. However, if you aren't feeling fear, you are not growing. (See Why Do I Still Feel Nervous? for more details about this.) Fear is a powerful motivator if you use it correctly. Instead of avoiding situations where you feel fear, embrace them. Use them as a way to improve yourself. 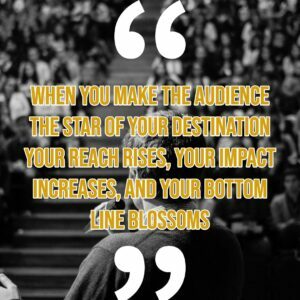 Face these situations with poise, and your audience will respect you a great deal. When I wrote the first-draft of the textbook for Fearless Presentations ® way back in 2002, I started chapter two with the Secret to Great Presentations. If you take only one piece of advice from this book, make sure that it is the pearl of wisdom in this chapter. If you focus on this one simple thing, the number of times you say “uhm” won’t matter. If you focus on this one thing, your gestures and not knowing what to do with your hands won’t matter. If you focus on this one thing, then the occasional loss of train of thought won’t matter. In fact, if you focus on this one simple thing, you can break just about every rule that public speakers are supposed to abide by, and you will still win over your audience. This one simple rule has transformed countless mediocre speakers into good speakers, scores of good speakers into great speakers, and numerous great speakers into world-class speakers. 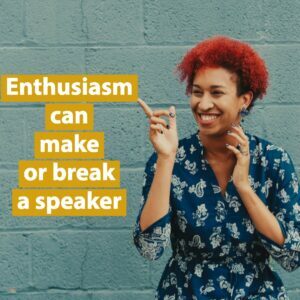 This simple rule that can make or break a speaker is …enthusiasm. This statement is even more true today. You can break every rule in public speaking, and as long as you are excited and speak with passion, your audience will still love you. The Stanford study also confirmed what we identified about enthusiasm. "For authenticity, Zandan’s team has found that the top 10% of authentic speakers were considered to be 1.3 times more trustworthy and 1.3 times more persuasive than the average communicator. Authenticity is made up of the passion and warmth that people have when presenting. Passion comes from exuding energy and enthusiasm." Stories do a lot for you as a speaker. Stories help you capture attention and build rapport with your audience. In addition, stories help you reduce nervousness exponentially. As a speaking coach, I tell my students that you really can't overuse stories and examples. There is also a science behind telling stories. We spend a lot of time in our classes helping participant get really good at using stories in their presentations. Why do we do it? Easy. When a presenter gets into a story, he/she will reduce their nervousness dramatically. As a result, the presenter appears more confident and more poised. In addition, it is easier to appear enthusiastic when you are telling a good story. So, this skill, in and of itself, will help with all four of the top qualities of a good public speaker! There is a reason why hundreds of different inspirational quotes have a focus on brevity. 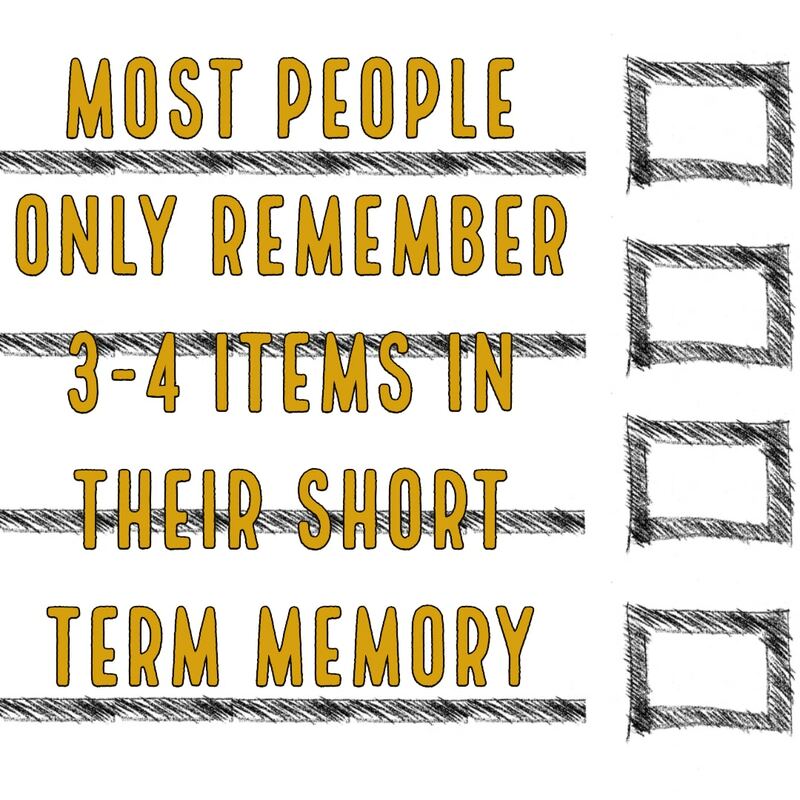 According to a study published in the National Academy of Science, the human brain can really only remember a max of about four items at a time. 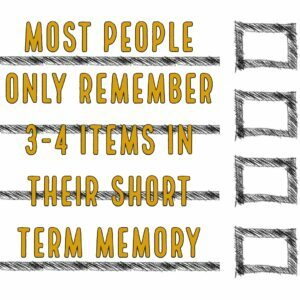 The researchers were testing the hypothesis that the human brain only has a certain number of "slots" to remember things in the short term. One of the things that I sometimes here when I introduce this concept to classes is, "Doug, but my audiences are pretty intelligent. They will remember a lot more than the average person." This study dispels that myth as well. Out of the entire study group, only one person in the entire study remembered all of the items in the list. The odds of your entire audience being made up of that tiny subset of participants is really, really low. Initially in our classes, we help people reduce nervousness. However, in the latter part of the class, we focus a lot on being "audience focused." Most presenters make the mistake of beginning the presentation design by focusing entirely on what they know about the subject. They make the presentation about themselves versus think about what the audience really wants from the speech. This is one of the biggest mistakes that a presenter can make. Dr. Michelle Mazur wrote in her article published in Fast Company, "Exceptional public speaking is never about the speaker. Yet it’s easy to see yourself as the star of the presentation... 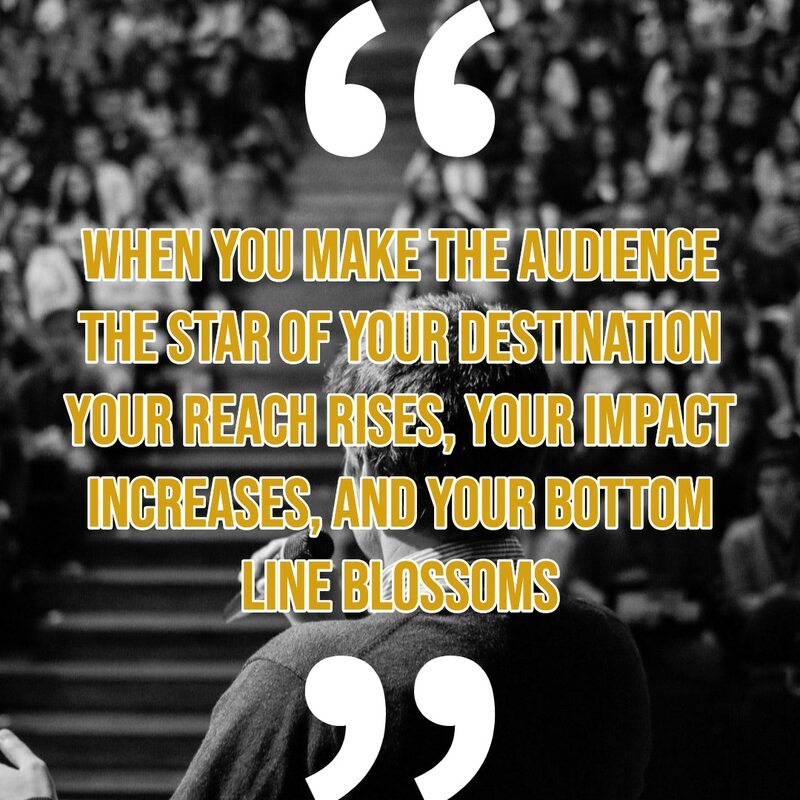 When you make the audience the star of your presentation, your reach rises, your impact increases, and your bottom-line blossoms." I agree totally with Dr. Mazur. When I am sitting in the audience, I don't want the speaker to spend a ton of my time talking about things that are only interesting to him or her. I have my own problems. If you help solve one of those problems, I will listen. I suspect that you feel he same way. Guess what? Your audiences also feel this way. Are you not entertained?! That is one of the greatest scenes from a movie. It reminds us that, sometimes we forget that the purpose of our speech is not only to inform but to also entertain. In fact, I will sometimes have class members tell me that their audiences don't want any of the "fluff," they just want only the facts. I always laugh. I typically follow up with a simple question. 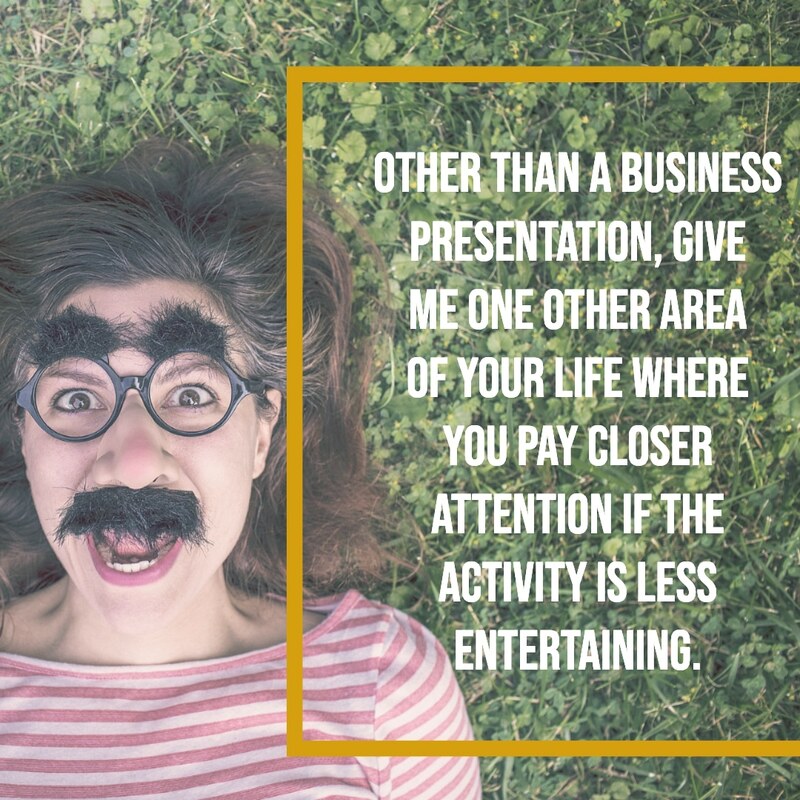 "Other than a business presentation, give me one other area of your life where you pay closer attention if the activity is less entertaining?" I've never gotten even a single answer to that one. 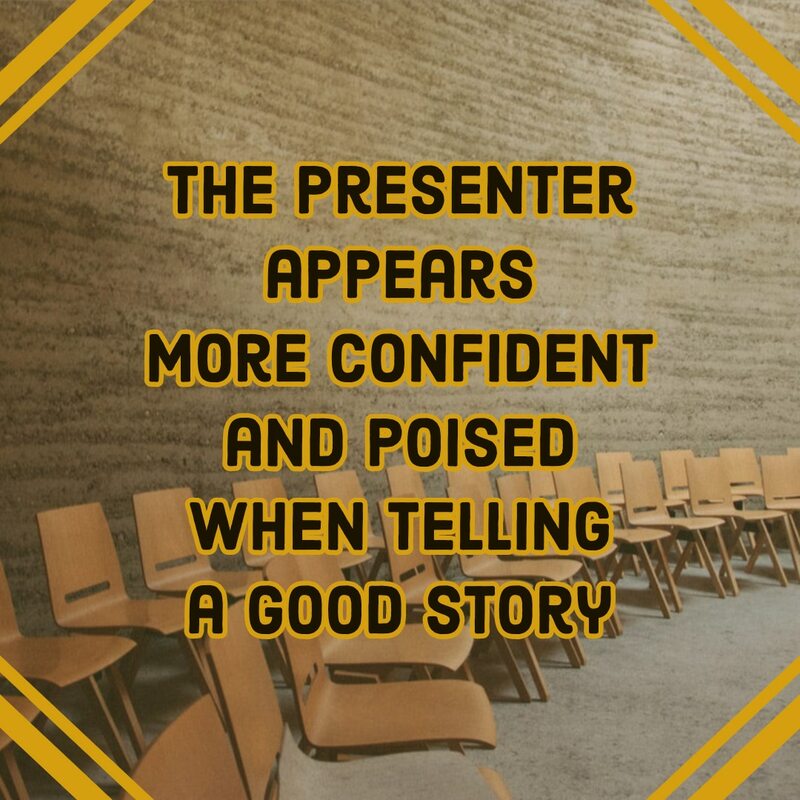 I believe that this final quality of a good speaker is one of the main things that sets Fearless Presentations ® graduates apart from other presenters. Our graduates understand the value of showmanship. 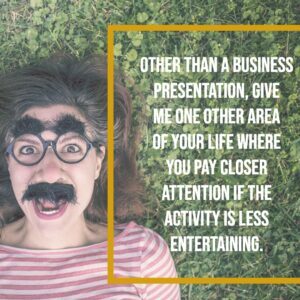 If you want to make your presentations more entertaining, we invite you to participate in one of our upcoming classes. You can find details at https://www.fearlesspresentations.com/public-speaking-course.